Frameless Glass Pool Fencing Surfers Paradise. 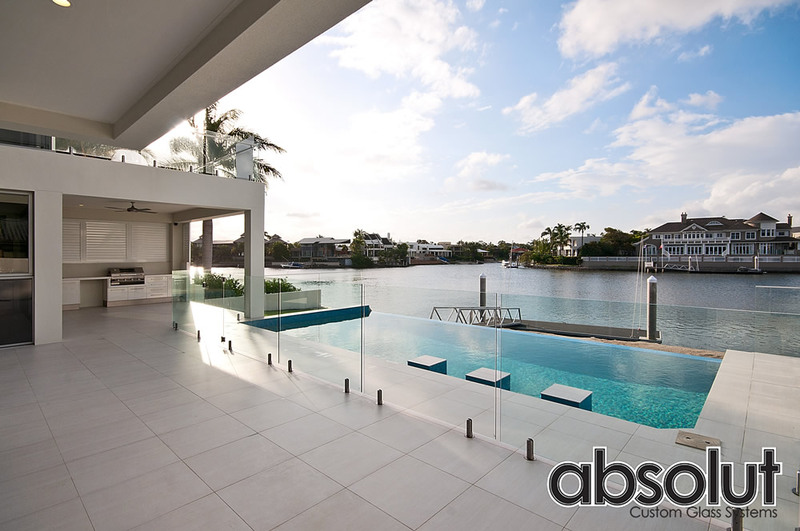 Absolut Custom Glass specialise in custom glass pool fencing and glass balustrades on the Gold Coast. If your searching for “Frameless Glass Pool Fencing Surfers Paradise” then you have come to the right place. All our custom frameless glass pool fencing, semi frameless glass pool fencing projects are backed by our 10 year workmanship warranty. We have completed many Frameless Glass Pool Fencing Surfers Paradise projects in the past and provide these services to both the domestic and commercial industries. We have completed over 3000 custom glass projects and much of our work is generated through client recommendations. This is one our most prided forms of advertising. We consider ourselves to be one of the most professional custom glass pool fencing companies on the Gold Coast. A family business and operating for close to 20 years, we provide a full professional service, our 100% customer satisfaction rating is a testament to the attention to detail and quality of our workmanship. We only use 100% Australian safety rated glass and quality hardware on all our glass pool fencing and glass balustrade projects. By using these quality products we can provide an end product that does not only stand up to the harsh Australian elements, but still looks amazing year after year. The other main benefit of using a quality glass pool fencing product is peace of mind. We get a lot of work replacing exploding glass panels, faulty gates, latches and weathered fittings. When safety is paramount, the cheaper alternative of using an inferior, lower quality glass and pool fencing fittings is simple not worth it. We provide FREE quotes and will beat any written quote supplied by any of our competitors. If you require “Frameless Glass Pool Fencing Surfers Paradise” Call us for a free quote on 1300 66 75 42 or use one of the other contact methods on our contact page.